You’ve just got a new mobile and are looking to transfer data to Samsung Galaxy S7 from your old Android phone. Everyone has preferences, and you have actively set up your phone to function like clockwork with personal preferences. However, it's time to get started with the new mobile as quickly as possible. 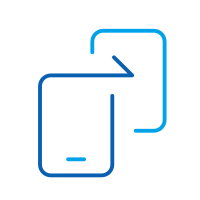 A backup is needed, and it isn't always easy to understand about compatibility associated with advances made in mobile technology. 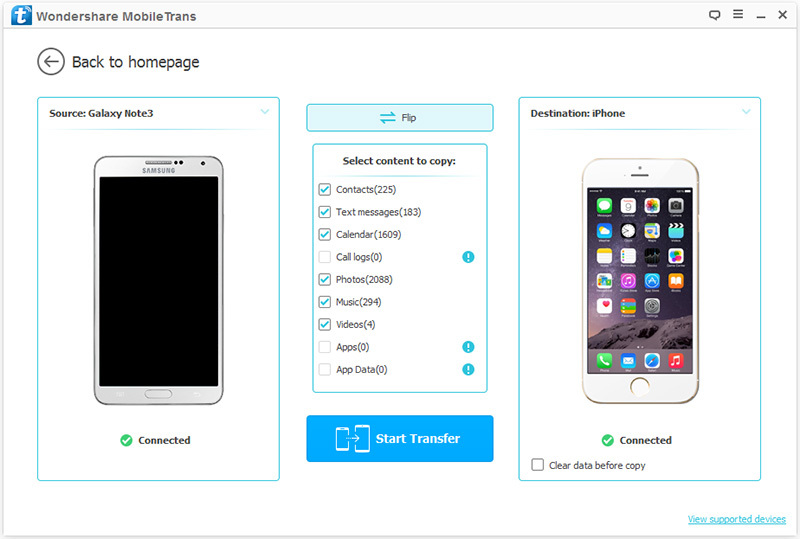 You begin looking for a professional tool that simplifies how to transfer contacts to Samsung Galaxy S7 with just a few clicks. The process must be simple and easy to implement. Here are three ways to transfer content from old Android to Galaxy S7/S8. For those who have time and like to get completely involved in the process, there's the manual way. Nevertheless, the manual process may lead to errors. There's the Google way where you can link your Google account to the contact list, and finally you have the easy way with a phone transfer tool. that is ridiculously easy to use. Read this article, you will know how to Sync old Android phone to Samsung Galaxy S7/S8. dr.fone - Switch is the one-click solution when you need to transfer data from Old to Samsung Galaxy S7/S8 from any mobile, including media files like music and video, calendars, and text messages. Transfer all video and music, and convert the incompatible ones from old Android to Samsung Galaxy S7/S8. Connect your old Android as the source phone and your new S7 as destination phone to the computer via USB cables. The software recognizes board devices and displays them as Connected. NOTE: if the display shows both phones in reverse order, i.e., If the older Android appears as destination and S7 appears as source, simply click on the Flip button to change the order. Basically, it must begin to transfer messages to Samsung Galaxy S7. List of files appear under “Select content to copy” Then check the boxes along the list that must be transferred. Also, the software gives you the option to check “Clear data before copy” before it begins the transfer. The software needs to create a temporary root between the devices before it can transfer data from old Android to Samsung Galaxy S7 . The message appears on the screen. Check the box and confirm to begin. It does not nullify the phone's warranty nor does it create a prominent path. Once the transfer is complete, the temporary root is removed. 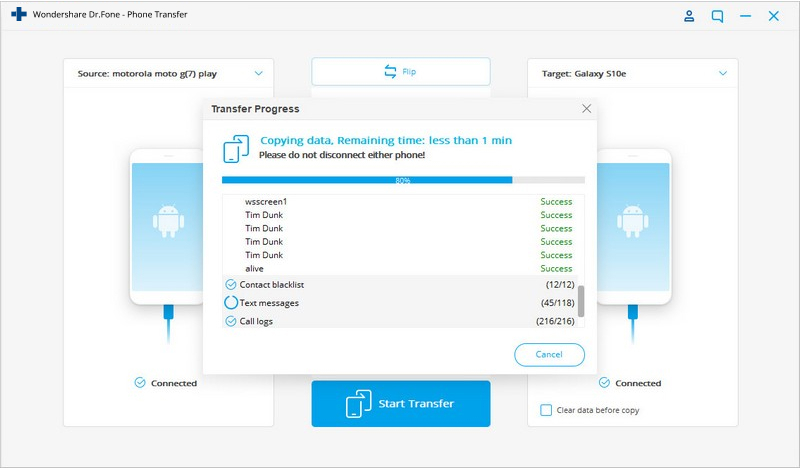 Click on Start Transfer then data is copied. Ensure both the old Android and new S7 are connected throughout the process. 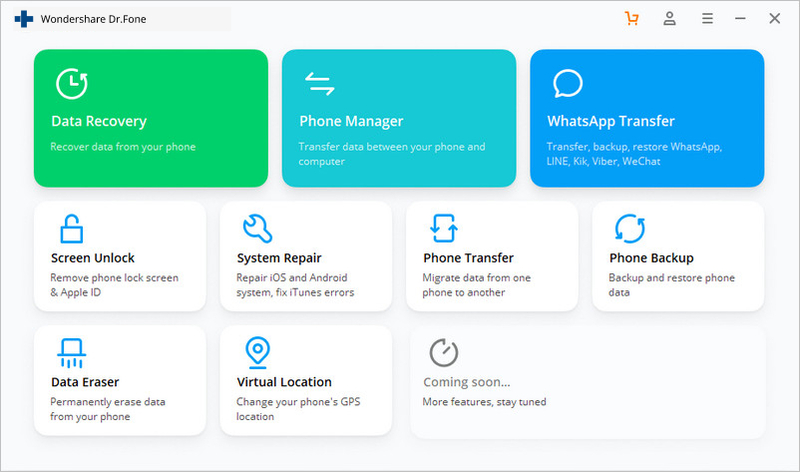 You have access to the perfect tool in dr.fone - Switch to complete transfer of data and media files across 3,000+ phones. Sync data to Samsung Galaxy S7 and transfer it from an old Android model with absolute ease. You can use your Google account to transfer contacts to Samsung Galaxy S7. The idea is to sync contacts in the older Android to the preferred Gmail account. The following steps ensure your phone is synced to the required Google account. 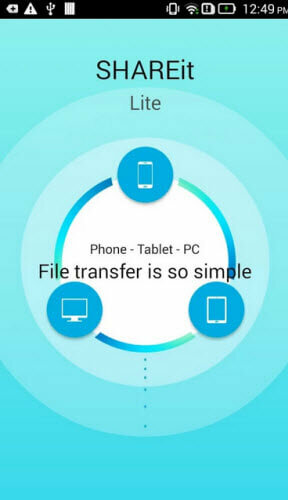 This way can also transfer data from Old Android to Samsung Galaxy S7/S8 as well. Click on Menu/Settings.Choose “Merge with Google” and Yes to confirm. Ensure you have the correct Gmail account as default. A pop-up appears when the contact list has successfully merged with the Gmail account. The chosen Gmail account must be installed on the previous Android device. Open App Drawer. Select Settings and then Accounts and Sync. Enable both the accounts and the syncing service. The e-mail account setup allows you to choose the right Gmail account. Sync Contacts must be enabled. Click on Sync Now. The phone contacts begin to synchronize with the Gmail account. This is needed in order to sync data to Samsung Galaxy S7. Open Gmail and click on the text link to the left of the profile on top. Choose Contacts. A page appears where the Android smart phone contacts are stored. Go to Apps. Locate and click on Gmail. 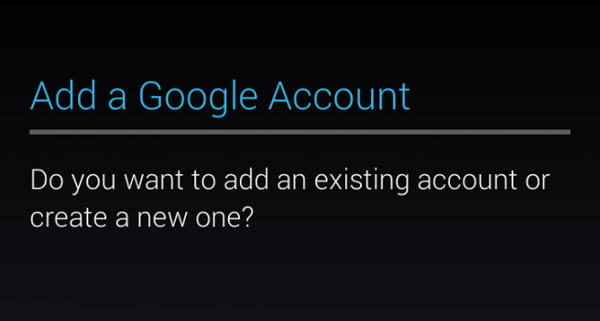 The Add a Google Account screen appears. It asks if a new or existing account must be added. Click on Existing. The Gmail User ID and Password fields appear. Type in the required details, agree to Google Terms, and click Done on the keyboard. The chosen Gmail account begins to transfer contacts to Samsung Galaxy S7. The manual method of transferring media content from Old Android to Galaxy S7/S8 is possible with the new phone having the required technology to adapt. However, the earlier model of Android may not be fully compatible in some ways. It may be a bit easier to transfer messages from Old Android to Samsung Galaxy S7/S8. Try the following manual method with an SD card. 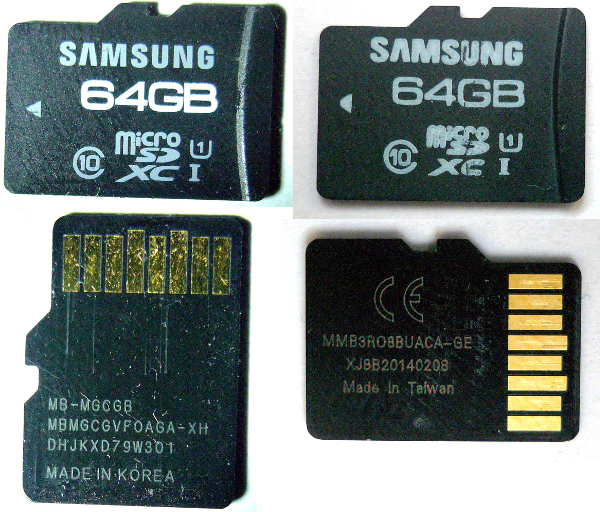 Transfer all media content including music, pictures, and videos from your old Android phone to an SD card. Note that Galaxy S7 does not encourage using a SD card slot. 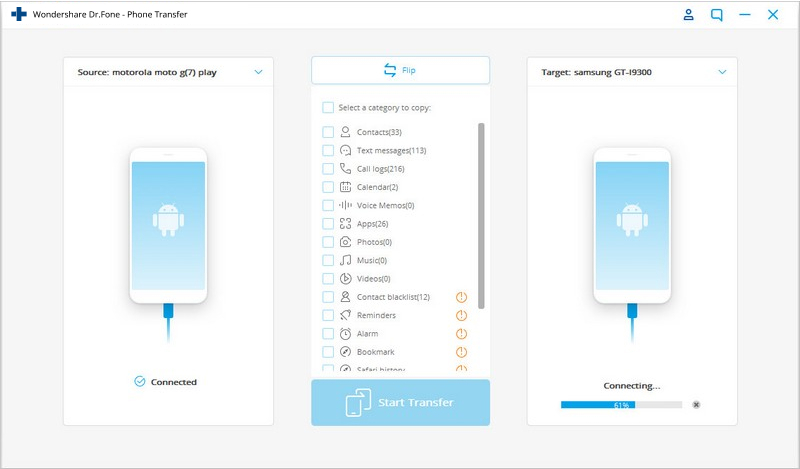 However, the new Samsung model uses the Smart Switch Mobile app to automatically detect content in the old Android mobile SD card and transfers it into a list called “Content in SDCard.” If an optional SD card slot is provided, the card can be transferred to new device. Go to Storage and USB and initiate SanDisk SD Card. You have now transferred all data and media content to your new mobile - That's it- transfer data from Old Android to Samsung Galaxy S7/S8.